Launched in 1992, The Watara Supervision (also known territoriality as the 'Quickshot Supervision', the 'Hartung SV-100' and 'that thing with the massive screen and awful ghosting') was yet another attempt to take-on the all conquering Gameboy. The Supervision's key selling points were it's lower price, humongous and surprisingly crisp display screen (until anything moves that is) and a weirdly beautiful bendy model of no practical purpose or design. Unfortunately that's about all it had going for it, as a mostly uninspired line-up of 66 games, several of them released in an unfinished state, saw it fail to garner much interest from your average gamer. However, there are a few decent titles available for the system, so let's start with those as we painfully work our way through reviewing every game released for the Watara Supervision! 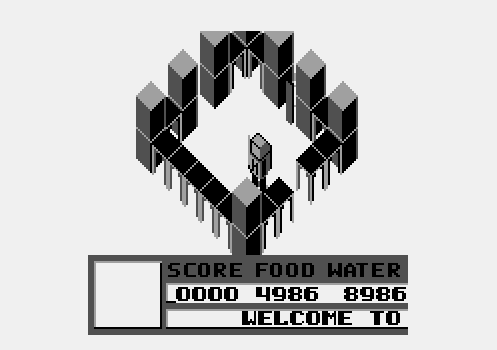 Quite how a port of an early Sinclair Spectrum isometric adventure game found it's way onto a handheld console like the Supervision in 1992 is a mystery that we'd love to get to the bottom of, someday. For the time being we'll settle for just reviewing one of the Supervision's quirkiest and most original titles. Imagine that you're a developer and your boss describes the Sega rogue-like 'Dragon Crystal' over the telephone to you. Then he asks you to clone it for the Supervision without you actually having played it. Delta Hero feels like it may just be the result of that exact scenario. The Supervision's pack-in game is an Arkanoid clone that's innovative, although hampered by one of the system's inherent faults: its awful ghosting. Look past that and you have an addictive bat and baller on your hands...even if we do believe that Level 40 is impossible! What could be better to release on a system afflicted by horrible ghosting and an awful frame-rate than a game that involves dozens of tiny, fast-moving moving objects. ​Sachen, as usual, were undeterred. Sachen's slickly designed clone of the arcade classic Ant Eater, is gorgeous to look at, addictive to play and, best of all suffers from none of the usual issues with the Supervision hardware. A genuinely good game on the Supervision! Whatever next? Would you like to play a shoot-em up with no sound effects whatsoever? What if we told you your ship and those of the enemy would jerk about the screen at 3 FPS? Okay, okay, we'll sweeten the deal. If you die you have to start the entire level again. How will Sachen bounce back from the awfulness of Thunder Shooting? Answer: by ripping off an NES Macross title, giving it a cunningly disguised name and only bothering to code three levels! Stealing its name from an old Atari 2600 game and it's concept from every cell phone known to man. 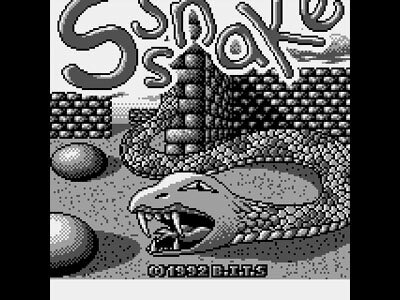 Sssnake isn't going to win any points for originality...or, sadly, for responsive controls. Some decent ideas sadly fall prey to the same old supervision problems with sprite flicker and frustration. Drawing heavy inspiration from Sega's top down classic, Crackdown, regular idea plunderers Sachen have produced a decent action maze-crawler that's well designed enough to hide the majority of the Supervision's weaknesses. Unique art design and an impressive amount of things on screen at once (without ghosting) are let down by inane gameplay decisions aimed at masking this shooter's short length with artificial difficulty. Anyone for tennis? Yes!? Did we mention it was on the Watara Supervision? A shameless clone of the Game Gear port of G-LOC it may be, yet this dogfight/shooter hybrid has an addictive streak and has more to it than initially meets the eye...and no, that's not another joke about the Supervision's ghosting!